Date: March 29, 1927. Place: Daytona Beach, Florida. 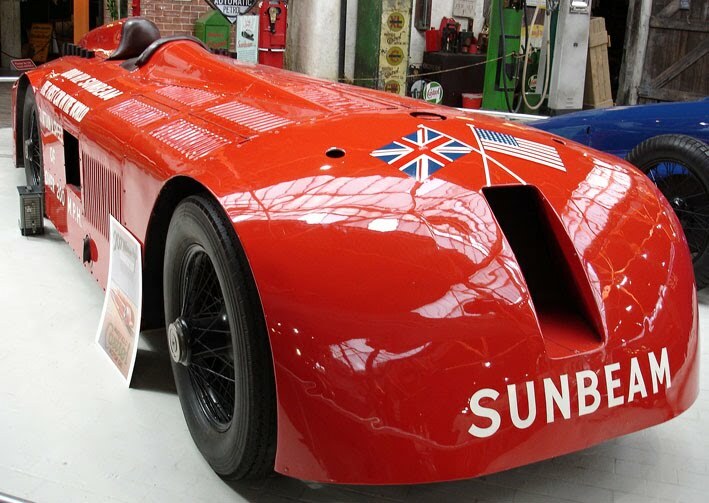 Car: the Sunbeam 1000HP Mystery, nicknamed the Slug. 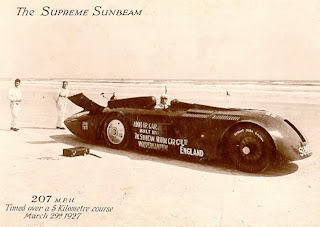 Driver: British Land Speed Record (LSR) breaker, Sir Henry Seagrave. On this day 87 years ago, Seagrave comfortably smashed the 200 mph (320 km/h) barrier in the bright red Slug, running on special tyres designed to hold together at that speed for no more than 3.5 minutes, a pair of linked Sunbeam Matabele engines bellowing as the car flashed along the beach, next to the Atlantic Ocean. Exciting, and dangerous, stuff, as all LSR attempts are - yet in the model world, it’s a complete mystery to SMN why the mainstream model manufacturers have all but ignored these unique and attractive machines. It’s certainly a shame, as a set of 1:72 or 1:43 LSR kits really ought to sell well. But at least the diecast companies haven’t let things slide, and we are particularly impressed by the LSR and other exotica produced by Bizarre Models, a sister company of well-known racing-car maker Spark Models. 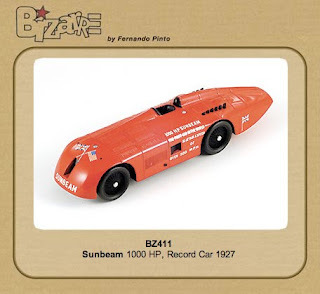 The Bizarre Sunbeam is to 1:43 scale and would make an excellent addition to an LSR collection. The US toy company Schylling have also produced a handsome wind-up tinplate collectible Sunbeam 1000HP. At present it’s not in the online catalog, but there are still some available at stockists. 1 Sunbeam 1000HP at the National Motor Museum, UK. Picture by David Hunt. 2 A postcard of the time, taken at Daytona Beach. 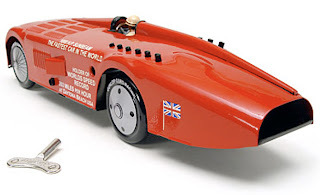 Touchwood Models stock Bizarre cars in the UK here. Buy Schylling’s tinplate Sunbeam 1000HP here. Talking of LSR cars, there's also a tinplate Schylling Blue Bird Race Car available, and very attractive it is too.